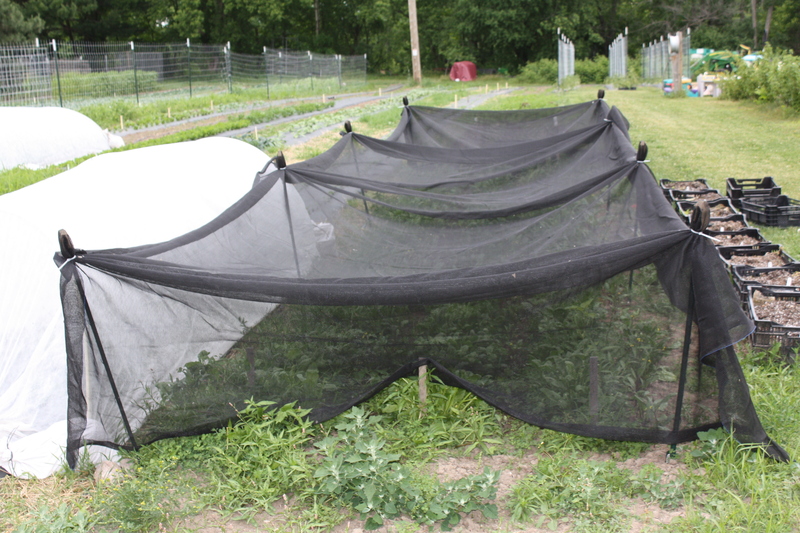 This is our covered “spring greens” and lettuce area. 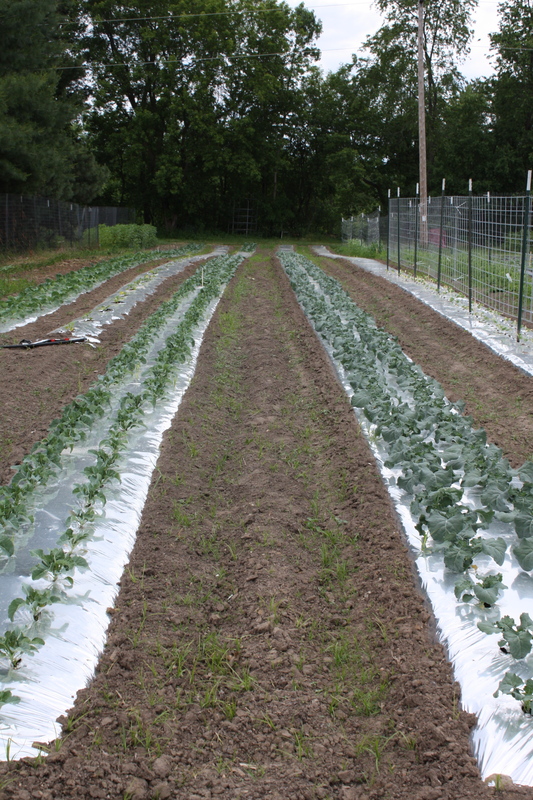 The uncovered hoops to the right is the area we just harvest the romaine lettuce for tomorrow and it is being prepped for another lettuce rotation. 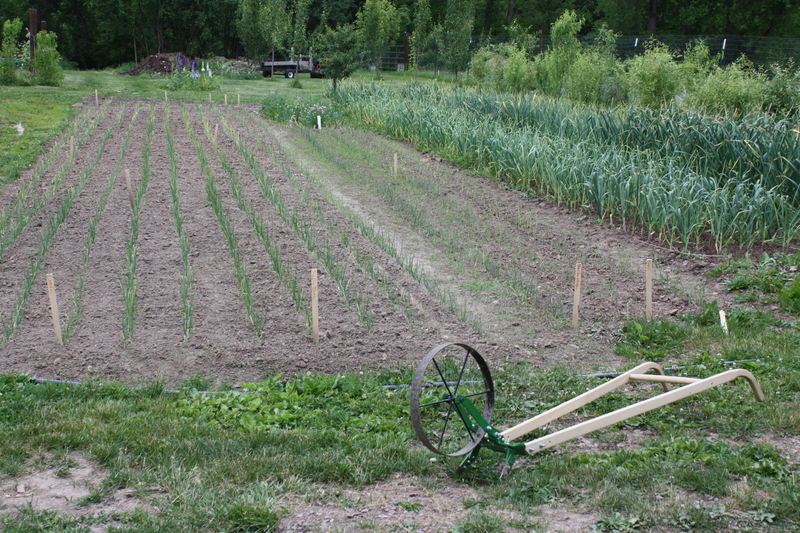 The 3000+ onions and leeks I planted with Malachi Persche (thanks malachi!!!!) and Scott has kept well weeded. broccoli, cauliflower, cabbage and my billion!!!! brussels sprouts all planted in reflective plastic mulch. 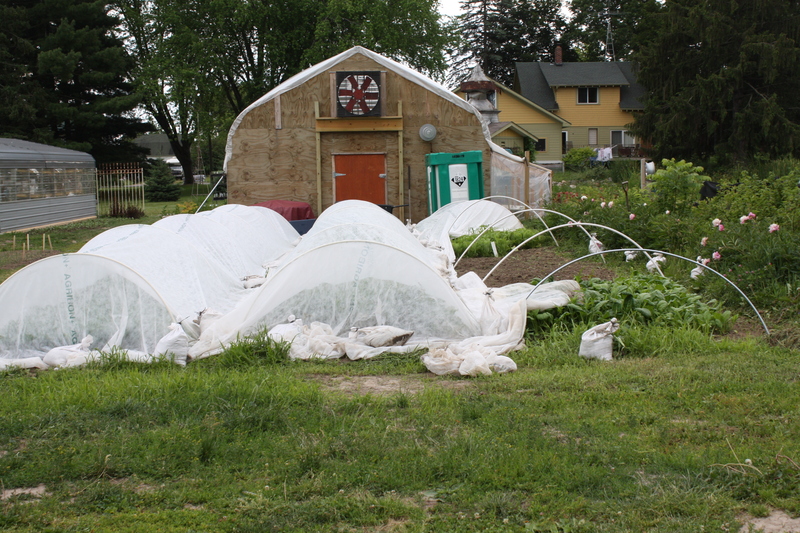 Thought it would be fun to show you a quick update in the garden…..
We had a great day harvesting and excited for the kick off to the CSA season tomorrow. We are washed, prepped and ready. The cooler is full of great Spring produce. We harvested some carrots that we planted on Feb. 3rd. A big experiment that worked! Anyway, Scott harvested this guy that we have named “the perfect male dancer”. You are ready…all looks fantastic to me. Love all the new techniques you try in your growing fields. 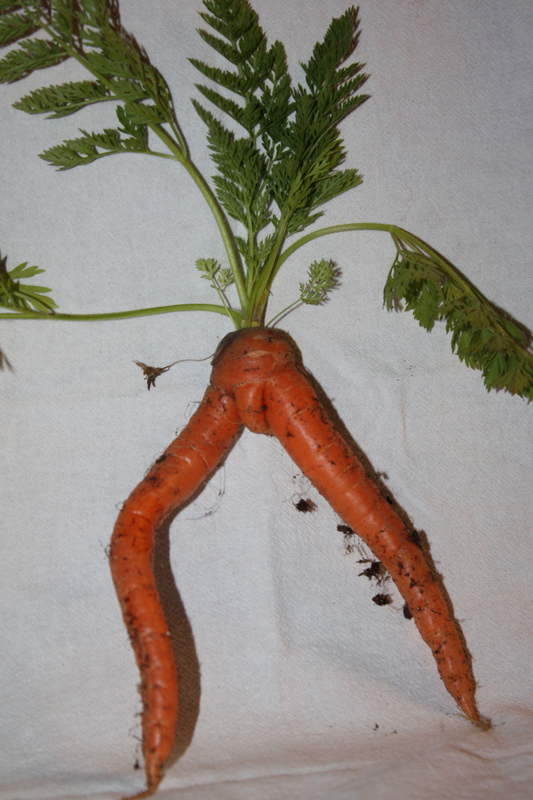 So…..who ate the carrot Scott?